Toothpaste contains abrasives that are designed to literally sandpaper off coffee stains from your teeth. Toothpaste also contains Bondo - yes, the same stuff you use on your car! - in order to patch up any cavities your teeth may have. This means that you’ve been giving the store free money every time you buy Bondo instead of just using the toothpaste you already have! 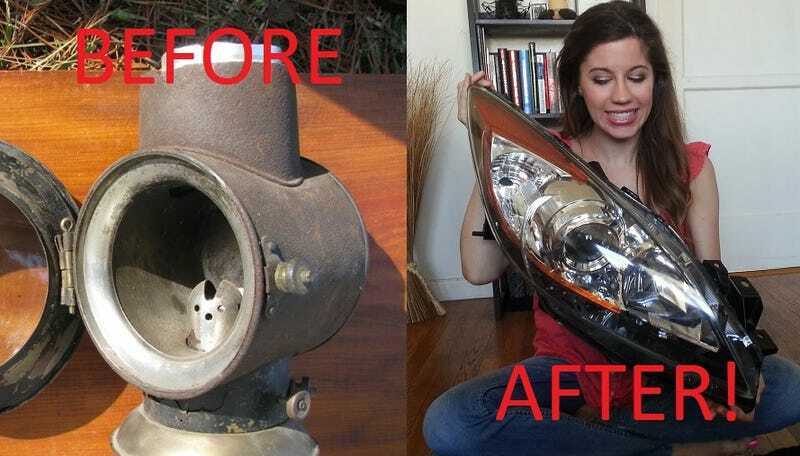 When fixing broken headlights, just apply an entire tube’s worth of toothpaste onto a headlight and rub vigorously with the most powerful belt sander you have. You will know the headlight is repaired when there is no longer any dust coming from the belt sander.